If you enjoy the company of literature by your side but doesn’t have the spare time to read, you can choose to listen to audio books. With Audiobooks Now, you can have audio books anytime and anywhere on your Android smartphone or tablet. 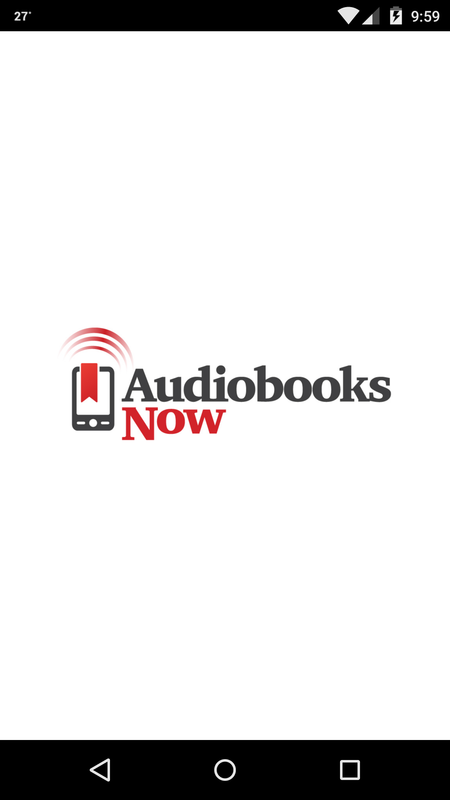 Audiobooks Now is app developed Booksfree.com, a topnotch online book and audio book rental service. It is currently available on Google Play at version 4.1.2. This app is relatively small that it can easily fit the huge memory of your phone or tablet with size of only 1.1Mb. It is compatible for Android 2.2 and up. 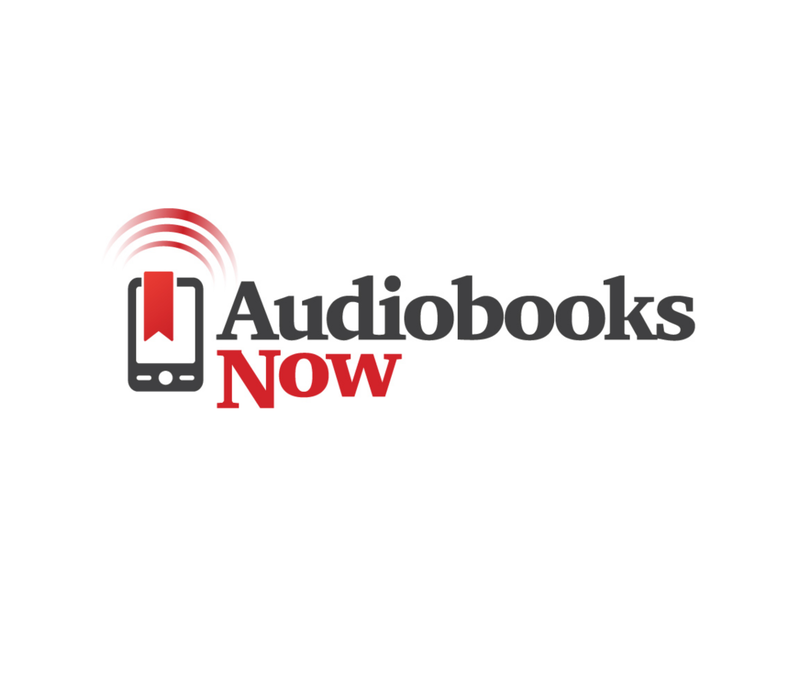 Audiobooks Now is a free-to-download app that offers a wide variety of reading listening to titles. More often than not, you can even find fresh titles that you cannot easily find anywhere else and possibly have never listened to before. New and classic titles are easy to find on this app. You can also find here some of the best-selling titles from outstanding authors. A slew of fiction and non-fiction audio books are also available. Thousands of titles can be found on Audiobooks Now. New titles are added continuously, which grows your pool of options. Basically, the choice is virtually endless. When you navigate inside Audiobooks Now, you can check out different titles from its seemingly endless selection. Audio book price can be from only a few dollars for classic titles to around $10 to $20 for best-sellers. To avoid spending on audio books that you might not like, you can play the sample audio of your book of choice. Simply click the “Play Sample” button and it will give you a taste of what that book has to offer. The narrators on Audiobook Now have captivating voices fit for the literature that they read to you. Furthermore, you can choose to get the abridged or unabridged version of the audio book according to your liking. Audiobooks Now comes with a very user-friendly interface. It has three main tabs namely Browse, my Library, and My Account. The Browse tab is easy to navigate as the audio books are categorized accordingly – Best Sellers, New Releases, Fiction, Non-Fiction, Specials, and Recommendations. If you don’t want to navigate one by one per category, it has a Search feature where you can enter the title of the book that you like and it will output if it is available or not. 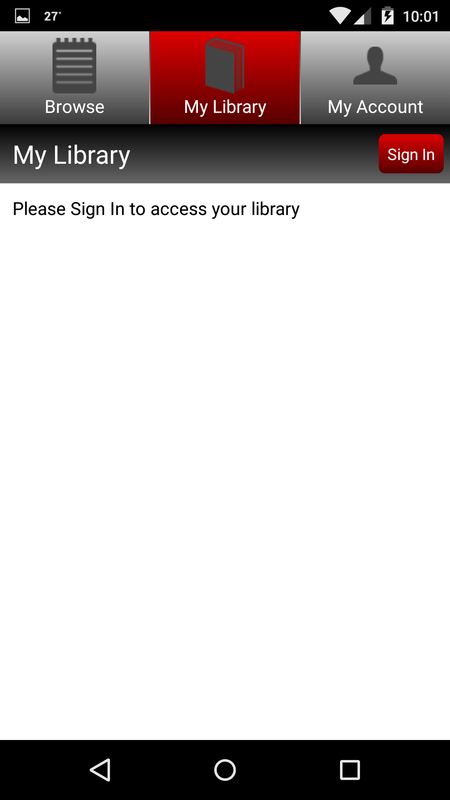 The My Library tab is where you can find the audio books you purchased and downloaded so you can easily go back to them whenever you want to. Basically, it serves like a bookmark area where all your favorite audio books are found. Lastly, the My Account tab is where you can manage your account. 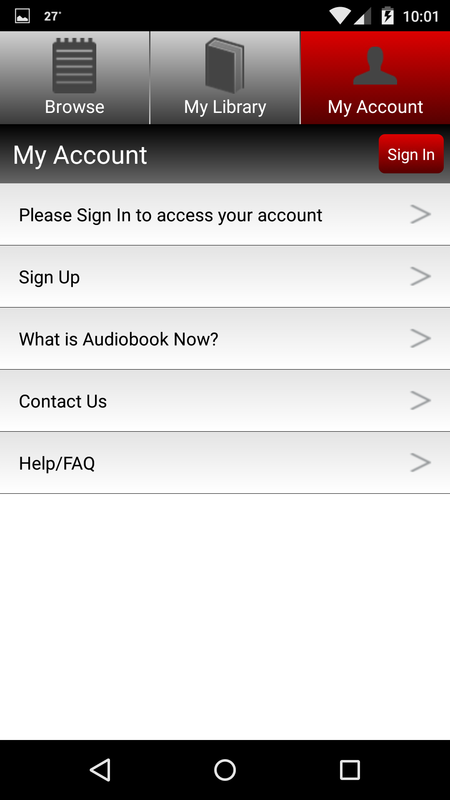 It is also where you can find a bit of information about Audiobook Now, how you can contact them, and an FAQ page. 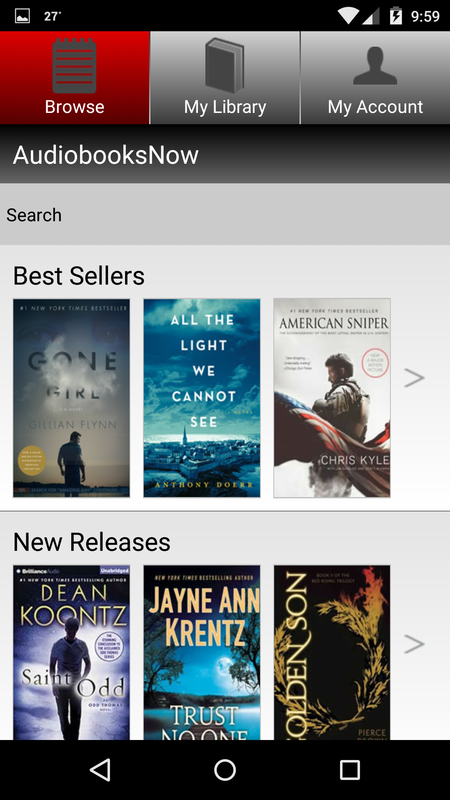 Audiobooks Now is free to download on Google Play. It offers a wealth of audio book titles can be downloaded at very reasonable prices. It has a straightforward interface that is easy to use and easy to love. It is a great app for book lovers and offers great value even to casual book listeners.